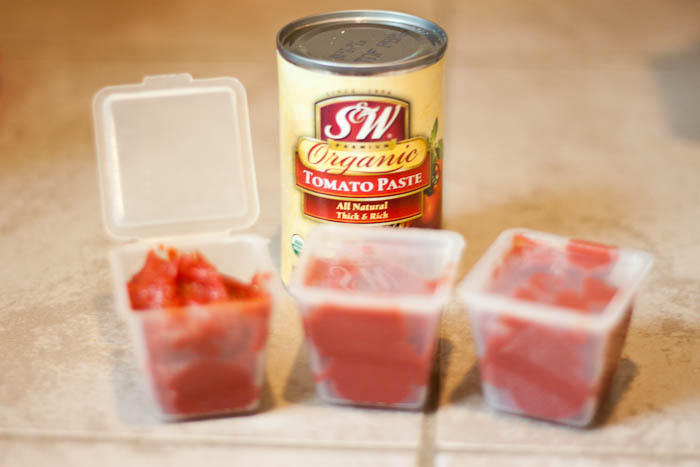 I get really frustrated when a recipe calls for 1 or 2 Tbsp’s of tomato paste. That means I have to open up one of those tiny cans, use half of it, put the other half in the fridge, completely forget about it and let it get moldy. Well not anymore!! Not all refried cans are…. unfortunately. Best bet: Fantastic Foods dried refrieds, they are SO much better!! And you can dish out what you need. I looked at the herbs too but prefer fresh…I noticed a lot of them were not just the herbs straight up and I don’t like all the extra stuff in it…. It is organic and all natural as well, double concentrated, more pricey I assume too… I don’t know the price of Costco. Just saves a lot of time and space!